Whitewater Parks and Recreation will be offering a half day Summer Sports Camp for kids attending summer school at Whitewater High School. This program will only be offered during the four weeks summer school is in session. Each day will be scheduled with fun filled sporting activities and P.E. style games. The Summer Sports Camp will have its own designated meeting area prior to lunch. One day out of each week will be designated as a pool day where students will get to spend the day at the Whitewater Aquatic and Fitness Center. Registration is available for children in grades K-5. ampionship events at all 30 Major League Stadiums, and the National Finals at the 2019 MLB All-Star Game at Progressive Field in Cleveland, Ohio. 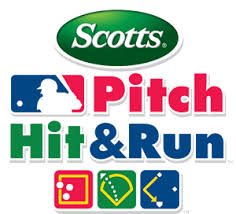 Pre-registration is available at the MLB Pitch, Hit, Run website, or is available on location. All participants need to provide a proof of age on the day of competition. Date: April 13th; Rain date is April 14th. This 8u program is for boys and girls. Whitewater will be participating in a league with Milton and Fort Atkinson. This program is a great bridge to fill the gap between Rookie Ball and 10u Baseball and Softball. Players will have the chance to work on the skills they have learned in the past, while being introduced to new ones, such as pitching and catching. This league is a hybrid between coach pitch and kid pitch. Practices will be held twice a week starting the first week of May. There will be one pre-season game the middle of May in Fort Atkinson, and then the rest of the season will begin the first week of June. There will be an end of season tournament the weekend of July 13th-15th. Each team will be assigned a volunteer coach. Practice will be determined by the volunteer coach. Players will receive a jersey and a hat. Click HERE to register online. This program will be available to kids 4 & 5 years old. There will be an emphasis placed on developing skills, and having fun! All players hit from the tee. Players will be divided into teams and be assigned to a volunteer coach. Each player will receive a team jersey. Teams will meet every Tuesday and Thursday from 5:15-6:15 p.m. starting June 11th, at Starin Park (No games on July 4th). We are looking for local businesses to sponsor each team! The deadline to register is May 26th, 2019. There will be a BBQ for all players and parents following the games on July 23rd. Register online by clicking HERE. Date/Time: Tues. and Thurs., June 11th-July 25th; 5:15–6:15 p.m. Note: A mandatory coaches meeting will be held on June 5, 2019, at 6:00 p.m. at the Starin Park Community Building. Practice and game schedules will be distributed by the coaches and posted on-line. A step up from Tee-Ball, this program will place emphasis on building off of previous skills, learning game situations, rules and having fun! This is a coach pitch program. Players will be divided into teams and be assigned to a volunteer coach. Each player will receive a team jersey. Teams will meet every Tuesday and Thursday from 6:15-7:15 p.m. starting June 11th, at Starin Park (No games on July 4th). We are looking for businesses to sponsor each team! The deadline to register is May 26th, 2019. There will be a BBQ for players and parents prior to the games on July 23rd. Register online by clicking HERE. Date/Time: Tuesdays & Thursdays; June 11th–July 25th; 6:15–7:15 p.m. Note: A mandatory coaches meeting will be held on June 5, 2019 at 6:00 pm at the Starin Park Community Building. Practice and game schedules will be distributed by the coaches and posted on-line. 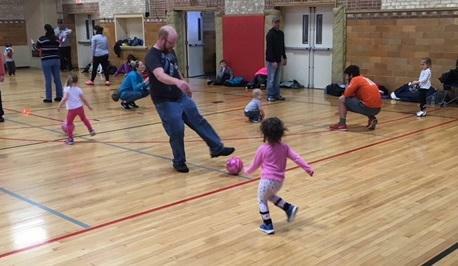 The Start Smart sports program helps kids get ready to play sports and at the same time promotes quality time together for the parent/adult mentor and child. This program works to build confidence and self-esteem through progression, improvement and positive reinforcement. Parents will learn how to properly teach and support their child as they learn the sports listed below. Our instructors show the parents the proper techniques and teaching hints to be most successful for this age group. You will provide the individual attention and instruction your child needs to learn and have and have fun. 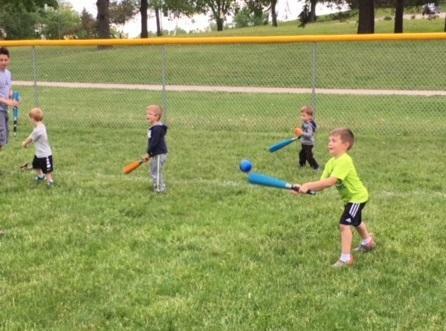 The skills focused on include hitting, throwing, and catching. The class meets at the Little League Field at Starin Park. During inclement weather, classes will be held in the Downtown Armory Gym. Dates for this program will be every Thursday starting April 18th, and ending May 23rd. If your player has a glove or foam bat, they are more than welcome to bring it with them! Click HERE to register online. The skills focused on include trapping, dribbling, passing, and being a goalie. If you choose to select the program with no supplies, please be sure to bring a soccer ball and shin guards to each practice. If you choose to select the program with supplies, each participant will receive a participant kit that includes two different size soccer balls, a set of youth shin guards, and 4 soccer cones to keep. There will be two sessions offered during the spring and summer. Session 1 will run from April 15th - May 13th. Session 2 will run from June 3rd - July 1st. Click the corresponding link to register online. The Whitewater Youth Football League (WYFL) offers tackle football for students in 6th to 8th grade in the Whitewater Unified School District. Ideally a separate team will be formed for each grade level. Final determination of teams will be based on enrollment which will be finalized after the registration deadline of May 31st. The tackle teams will once again be part of the Dane & Jefferson County Youth Football League (D&JCYFL) and will play both its home and away games on Saturdays. Practices are scheduled per the volunteer coaching staff, typically at least 4 days per week prior to school start and 3 days per week thereafter. Practices will take place at the Whitewater High School in the back fields immediately after Middle School is dismissed. The Registration fee is $150 until the Registration deadline of May 31st. Don't wait, sign up today! Click HERE to register. Attention 4th & 5th Graders, sign up today for the WYFL’s 8-on-8 traveling flag football team. If your child is interested in learning more about how to play football, our Hybrid flag football league is a perfect way to learn the sport, without the fear of injury from full contact. This is still flag football, just with pads and a helmet. Your child will receive full pads, a helmet, a jersey and flags, so they can get used to being athletic with the extra weight of the pads and a helmet. Our goal is to provide a positive, fun, and safe environment that allows our athletes to learn fundamentals, develop skills, and build character, good sportsmanship, self-esteem, discipline, and leadership. We build a foundation for success with a “win the day” goal mentality for personal and team development that will carry with them for life. Our program is not about focusing on wins and losses. Our expectation for every player is simply to listen and give their best effort so they can grow stronger physically and mentally every day. Football is an outstanding sport to build these great character traits. Every season is filled with peaks and valleys that they will experience together with their teammates. We hope this bond and the friendships that are created last into high school and far beyond. Games will be played on Saturdays at Whitewater High School, UWW Perkins Field, and other communities participating in the league. Due to high demand and scheduling concerns, we must limit player enrollment. First come, first serve. The Registration fee is $100 until the Registration deadline of May 31st. Don’t wait, sign up today! Click HERE to register.